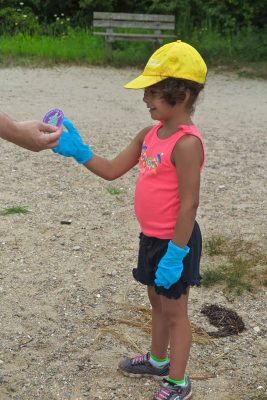 Groton (July 31, 2018)—About 40 youth from Mystic Aquarium’s summer camps joined representatives of the Long Island Sound Study and Connecticut Sea Grant in a cleanup at Bluff Point State Park on Aug. 1 to launch a social medial campaign to get people to “break the single-use plastic habit” and help protect the Sound’s wildlife. Judy Benson is the communications coordinator for Connecticut Sea Grant. 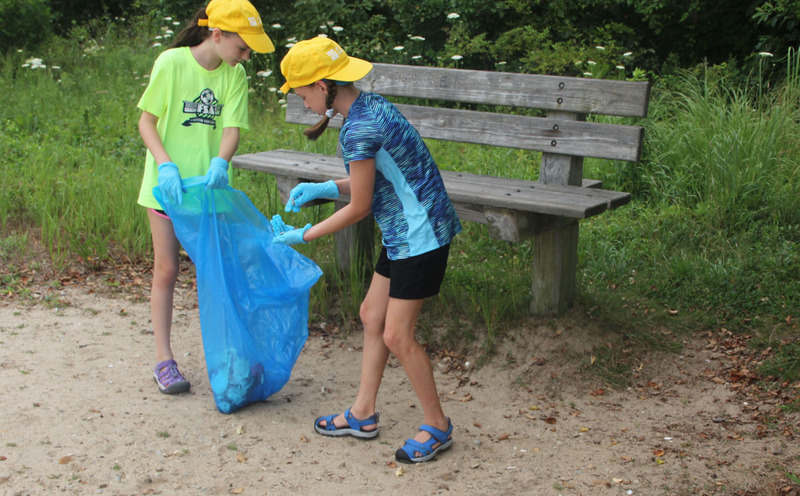 This release originally appeared on the CT Sea Grant website.